Saturday Night Live veteran and Single Parents star Taran Killam swung by Matt Gourley’s wonderful I Was There, Too podcast this week for a candid, amusing talk about his life and career. In it, he chats about his surprising turn in 12 Years A Slave and his underrated directorial debut, Killing Gunther, but most captivating are his insights into SNL, where he experienced no shortage of ups and downs across his six seasons. Killam, who played Trump before Alec Baldwin took over, said Michaels shot down a proposed parody of a bonkers CNN interview with Trump—“‘It’ll be old news by then, and, you know, you don’t want to vilify him,’”— urging the cast to instead perform a light-hearted sketch about him and his wife, Melania, in their home. It was when Killam saw Trump’s name on a list of potential guest hosts that he realized why Michaels was being so careful. Trump did end up hosting in November of 2015, and, with Gourley, Killam adds some more texture to his previous comments about the disastrous week. He also breaks out his very, very good Trump impression, which really makes us wish Baldwin had never taken over. 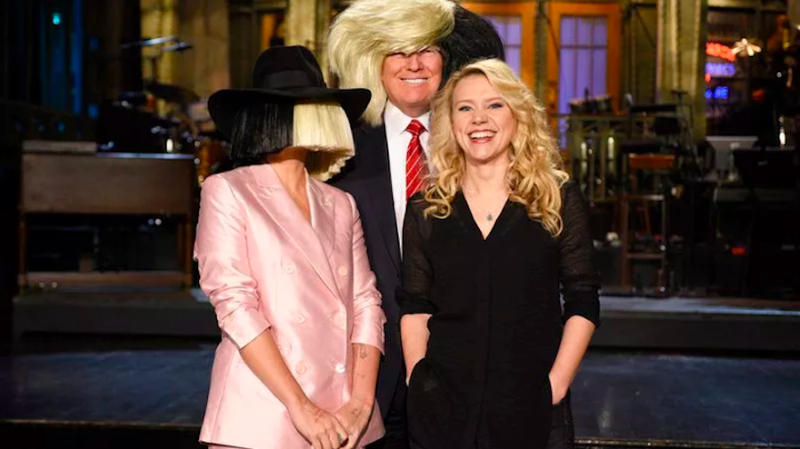 What was missing from SNL 40?